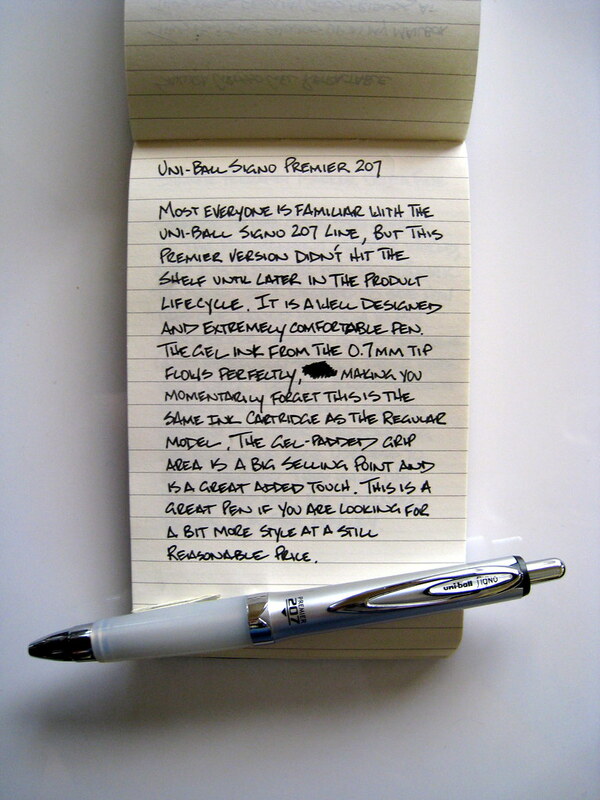 A reader reminder me of the Uni-Ball Signo Premier in a recent email, referring to it as just "the pen", and it certainly is a good one. I have had this model lingering around without much use for months, and I forgot how nice it really is. Silky smooth and extremely comfortable - a perfect pen for all of those long writing or notetaking sessions. It comes equipped with a black 0.7mm gel ink cartridge, but I assume the 0.5mm refills fit just fine if you are looking for a finer line. Great pen at a great price. Posted on July 10, 2008 by Brad Dowdy.